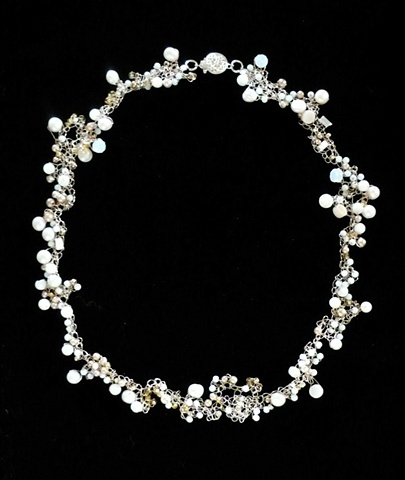 This freeform crocheted necklace entwines .999 fine silver wire with freshwater pearls and shell, with ice blue, lemon yellow, and metallic seed beads. It is finished with a sterling silver, filigree box clasp, at a length of 16. You can visit the Pritchard Art Gallery in Moscow, Idaho to view other Entwine pieces.